With signing of Chris Houston, are the Lions set at cornerback? 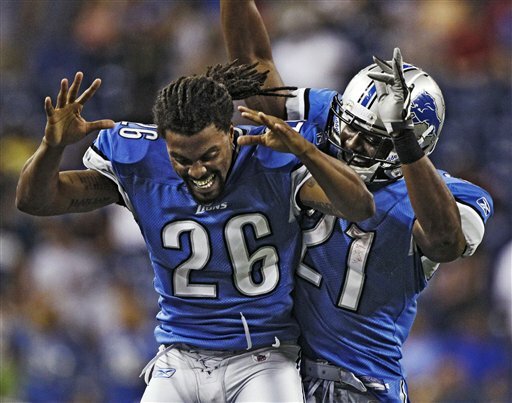 Are the Lions done at the cornerback position? Quite possibly. Although GM Martin Mayhew is never quite done tinkering with the roster. They re-signed Chris Houston on Sunday, reportedly to a two-year deal. The 26-year-old Houston will enter his second season in Detroit after playing his first three seasons in Atlanta. He played in 15 games last season, finishing with 56 tackles (50 solo), one interception, one forced fumble and a dozen passes defended. He will start, the question is who will play beside him. Alphonso Smith is a possibility, but he’s out at least temporarily with a broken foot. Coach Jim Schwartz liked what he saw in Aaron Berry from the first day of camp on Friday. Berry was an undrafted free agent last season. He started the opener at Chicago and intercepted a Jay Cutler pass to set up a Jahvid Best touchdown. But he injured his shoulder in the second quarter and was out for the season. Schwartz mentioned Berry even though he was not asked about him which is a little unusual for the tight-lipped coach. Other cornerbacks currently signed include Eric Wright, Nathan Vasher, Brandon McDonald, Prince MIller and Paul Pratt. 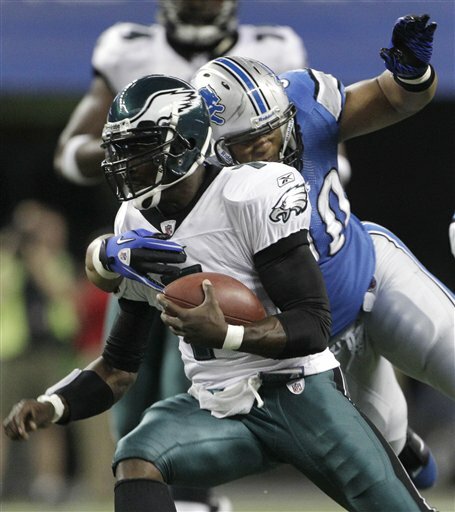 Earlier Sunday, the Lions agreed to a deal with free agent LB Stephen Tulloch. Like the other free agents who have signed, Tulloch and Houston won’t be able to practice with the Lions until Thursday, the official start of the season. There remains a possibility that day could be moved up though. Monday’s practice, the first one open to the general public, has been moved up to a start time of 9:15 a.m.
Linebacker was definitely a position of need for the Lions. They addressed it on Sunday by signing Stephen Tulloch, according to reports from the Chicago Sun-Times. The Lions won’t confirm the deal until he takes a physical and signs the contract. It’s a one-year contract worth $3.25 million, including $1.8 million in guaranteed money according to several reports. Tulloch will play in the middle shifting DeAndre Levy to the outside. Earlier in the week the Lions also signed free agent linebacker Justin Durant. Tulloch comes from the Tennessee Titans where he was teammates and friends with Kyle Vanden Bosch who said earlier in the week he’d be happy to make a call to Tulloch. He also played for Jim Schwartz who was defensive coordinator with the Titans. In a tweet on Sunday morning Tulloch thanks his Titans’ teammates for a great five years but said it was time to move on. — Unrestricted Free Agents: WR Rashied Davis, LB Justin Durant, C Dylan Gandy, K Dave Rayner, QB Drew Stanton and S John Wendling. — Restricted Free Agents: FB Jerome Felton and DT Andre Fluellen. — Exclusive Rights Players: LB Korey Bosworth, LB Caleb Campbell, T Corey Hilliard, WR Stefan Logan, CB Prince Miller, LB Ashlee Palmer, S Randy Phillips and CB Paul Pratt. The team also announced that T Jeff Backus and CB Alphonso Smith were placed on the Active/Non-Football Injury List. ALLEN PARK — In last two years the Lions have not been able to keep a healthy secondary. It’s been a huge issue. They’re off on the wrong foot now with CB Alphonso Smith, who would have been competing for a starting job, out with a broken left foot. Smith broke it three weeks ago while working out. Coach Jim Schwartz said they’ll take it slow with him, he’ll start on PUP. Smith watched Friday’s first practice of training camp as did left tackle Jeff Backus who has a torn pectoral muscle. Backus, who has played 160 straight games, would not give a timeline for coming back. But on Thursday Schwartz said he expected he’d be ready for the regular season. LB Zack Follett, who missed the final 11 games last year with a spinal injury, is back and said he’s feeling fine. K Jason Hanson, who missed the final eight games last year with a knee injury, said he’s healthy and was sharp on his field-goal attempts on Friday. Cornerback Maurice Leggett will apparently be reunited with Gunther Cunningham after agreeing to a deal with the Lions. Leggett played for Cunningham, the Lions defensive coordinator, when both were with the Chiefs. The 24-year-old cornerback, who is 5-foot-11 and 188 pounds, played the last three seasons in Kansas City after being signed as an undrafted free agent out of Valdosta State. He was the Chiefs’ rookie of the year in 2008 when Cunningham was the defensive coordinator. The Lions have agreed to a deal with Bears WR Rashied Davis, according to several reports. Davis, who had nine catches for 84 yards last season, will likely be the No. 4 receiver behind Calvin Johnson, Nate Burleson and rookie Titus Young. Return specialist Stefan Logan will fill the fifth spot. With the addition of Davis, Derrick Williams is a longshot to make the team. Williams, a third-round pick three years ago, never lived up to expectations. The Lions are expected to release Bryant Johnson today. The team will not confirm any deals until after free agents are allowed to sign at 6 p.m. on Friday. ALLEN PARK — Any question about why the Lions are not reporting agreements made with free agents, was cleared up Thursday morning when a team spokesman read the edict from the NFL. Teams are not allowed to make announcements until a free agent is signed and they are not allowed to be signed until 6 p.m. on Friday. Negotiations started at 10 a.m. Tuesday. Reportedly the Lions have agreed to a deal with outside linebacker Justin Durant who played the last four seasons at Jacksonville. A bit injury-prone, he’s never played 16 games in a season. Last year the 25-year-old played in 10, starting nine of those. Durant confirmed the deal through a series of tweets on Wednesday night. The Lions are reportedly also interested in linebacker Stephen Tulloch, a former teammate of Kyle Vanden Bosch’s with the Titans. No word on the status of Chris Houston. Reportedly the Lions are also in play for cornerback Johnathon Joseph who spent last five seasons with Cincinnati. ALLEN PARK — Lions’ veteran left tackle Jeff Backus won’t be able to start training camp due to a pectoral injury. Backus will be on site, just not on the practice field when camp starts on Friday. It will give guys like Corey Hilliard, Jason Fox and rookie Johnny Culbreath more reps.
Schwartz expects kicker Jason Hanson, who missed the end of last season with a knee injury, will be ready to go. Players report to the Lions on Thursday with the first practice set for 10:15 a.m. on Friday. The first practice open to the general public will be at 10:15 a.m. on Monday. The Lions can not comment on the status of agreements with players until they are officially signed at 6 p.m. on Friday. The Lions made two key signings Wednesday — QB Drew Stanton and S John Wendling — according to various reports. Stanton, a restricted free agent who played at Michigan State, has signed a one-year deal. Stanton had a break-though season last year due to injuries to Matthew Stafford and Shaun Hill. Stanton played in six games, starting three, and threw four touchdowns and ran for another. It was Stanton who led the Lions as they snapped their road losing streak with an overtime win in Tampa. Wendling, who played in all 16 games last season, was key for special teams play and was recognized for it as a Pro Bowl special teams alternate. ALLEN PARK — It’s a week of NFL free agent frenzy, but not for safety Erik Coleman who signed with the Lions as a free agent in February after he was released by Atlanta. He’s pleased not to be a part of the craziness. “I was extremely happy on several different levels. On one I would know where I was going once the lockout was figured out. I knew what town I was going to, what team I’d be playing for, ‘’ Coleman said Wednesday morning. “On the other hand after I got released it was kind of quick that I got picked up. Detroit seemed like they had a need for me, that they wanted me here. It’s always a good feeling to be wanted. That was another positive thing about coming here. My wife’s excited about it, it’s a great area we live in,’’ he added. 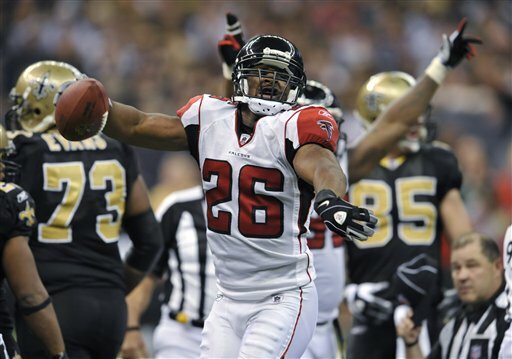 The 29-year-old Coleman, who played at Washington State, was released by the Falcons on Feb. 9 and signed to a one-year deal by the Lions on Feb. 18. Coleman drove up from Atlanta Friday with a car full of stuff to start the move. His pregnant wife and 2-year-old will arrive this week. During the informal player workouts he found a place to live. Coleman is expected to start opposite Louis Delmas. Even though he’s worn No. 26 his whole career, he didn’t even ask Delmas for it. He’ll wear No. 24 for the Lions, the same number that CB Tye Hill wore last year. The Lions have parted ways with veteran WR Bryant Johnson. Johnson confirmed the move by tweeting his thanks to the Lions’ fans and everyone involved with the team. This is not a shocker. Johnson never really seemed to fit in well with the Lions’ receiving corps. After Nate Burleson signed as a free agent a year ago, there was some speculation Johnson would be gone. Drafting Titus Young in the second round in April made Johnson expendable. The 30-year-old wide receiver spent two seasons with the Lions. Last year in 14 games he had 18 receptions for 210 yards and no touchdowns. In 2009 he played in all 16 games and finished with 35 catches for 417 yards and three touchdowns. ALLEN PARK — Lions president Tom Lewand said it Monday and defensive end Kyle Vanden Bosch agreed with him on Tuesday. The Lions have a plan that involves winning a lot of football games. Coaches and management can’t do it without the players. It goes both ways. That’s why there didn’t seem to be any angst at the Lions practice facility Tuesday, the first day players were allowed to return following the approval of the new collective bargaining agreement on Monday. “Honestly we’re pretty satisfied with the agreement. I think both sides came to an agreement they were happy with. I think everybody is satisfied with this agreement and ready to move forward,’’ said Vanden Bosch, the Lions’ player representative. “Especially around here, guys understand that the owners, the coaches, the management and the players we’re all headed in the same direction. We all want the same thing and it seems like we already have things moving in that direction. We’re exited to get everybody in and get moving again,’’ he added. Several of the Lions were at the facility Tuesday with more expected on Wednesday. Players will report for training camp on Thursday and have their first practice on Friday. ALLEN PARK — Running back Jahvid Best had a little trouble getting into the Lions facility Tuesday morning. He pulled his black Cadillac CTS up to the gate to enter the player parking lot, but had forgotten the code. No problem. He just used the front door. Best was one of several Lions to get to the Lions practice facility when players were allowed back after 10 a.m. Matthew Stafford was a few minutes early and the first to arrive. He was followed by Cliff Avril, Kyle Vanden Bosch, Jeff Backus and Ashlee Palmer. Best said he wasn’t sure what to expect on Tuesday. “I have no idea, that’s why I’m here right now, get a schedule and get mentally prepared and see what happens,’’ Best said. “I’m 100 percent and ready to go,’’ said Best whose toes looked fine in his flip-flops. “I feel the same, doing everything I’ve been doing, I’m ready for everything,’’ he added. Best didn’t wait until the deal was done to get into town. The players voted to approve the collective bargaining agreement on Monday afternoon. “I was here Monday, I just had a feeling,’’ Best said. Stafford and Vanden Bosch will speak at a press conference which is set to start at 11:45 a.m. Come back here for full details. Turns out there is crying in football. After the NFL player representatives unanimously approved the new collective bargaining agreement on Monday, both sides came together on the steps of the NFLPA offices in Washington, D.C. 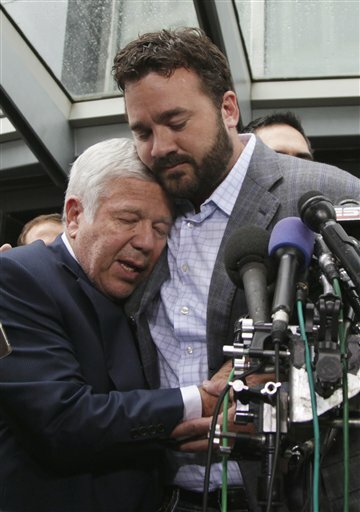 In an emotional end to an emotional issue, Indianapolis Colts center Jeff Saturday, one of the key players involved in the talks, specifically thanked New England Patriots owner Robert Kraft whose wife Myra died last week. “... a special thanks to Myra Kraft who even in her weakest moment allowed Mr. Kraft to come and fight this out and without him this deal does not get done. I don’t want to be climactic in any way, but he is a man who helped us save football and we are so gracious for that. “We’re gracious for his family and for the opportunity he presented to get this deal done,’’ Saturday said. What made the scene special was that the Colts and Patriots are bitter rivals, but for a moment that was all forgotten. Lions president Tom Lewand has emphatically said since the NFL lockout started in early March that the two sides will come together and he didn’t expect any ill feelings on either side once it was settled. Well, the NFL players approved the new collective bargaining agreement today and Lewand’s statement follows what he has said all along. Players can report on Tuesday for voluntary conditioning and classroom work. Camp opens on Thursday in Allen Park. “First and foremost, we are happy for our fans because all they ever wanted was for us to play football and, thankfully, that’s what we are getting ready to do. This agreement is a big win for NFL football and for all NFL fans because it helps secure the long-term health of our game. “It is a fair deal for players and teams. We will be able to grow the game and appropriately share that growth with our players as partners. It is a deal that places a high priority on player safety and on the integrity of our game. “Both sides worked extremely hard throughout this process. All involved are to be commended on getting a deal done in time to avoid any disruption to the 2011 regular season. — QB Matthew Stafford: @Staff_9: Just landed in the D bout to go to work... Feels good to be back. Time to grind! — DT Nick Fairley: @Nick_Fairley251 FOOTBALL! — S Erik Coleman: Erikcoleman26 S/O to De Smith, NFLPA staff, exec. Committee and all the players for staying united! Thank U fans 4 patience! Let's Go to work! Go Lions! OK, the NFL is back. The players approved the new CBA this afternoon. Facilities open Tuesday for voluntary conditioning and classroom work. The Lions open camp on Thursday. 1. What will be the Lions’ approach to free agency? Obviously the two big needs are at cornerback and linebacker. If they can’t strike a free agent deal, expect Martin Mayhew to improve the roster via trades. Last offseason he made a number of trades to bring in key players like Corey Williams, Shaun Hill, Lawrence Jackson and others. 2. Will all players report in good shape? Many of them have tweeted about their workouts and now we’ll find out who was serious about the workouts and who wasn’t. The 30 or so players who showed up at the team’s informal workouts at Detroit Country Day in May and June appeared to be in good shape, but what about the rest? 3. How will training camp differ from camps in non-lockout years? First of all, it’s in the agreement that they can’t hit at camp for the first three days. I don’t think it’s going to be all that different. Coach Jim Schwartz gradually gets them in pads anyway. Schwartz and his staff have had plenty of time to plan for this camp. Of course, so have the other 31 NFL coaches. It’s officially over which means the NFL is back. The players’ executive committee unanimously approved the new NFL collective bargaining agreement minutes ago. It appears the Lions will open training camp on Thursday, although that is not certain. Fist three days of camp will be non-traditional with no hitting allowed. Camp will heat up starting on Saturday. Team facilities will open Tuesday for voluntary conditioning and classroom work. There were times it appeared this might not get done in time to save the season. Kudos to both parties for finding common ground. It was 136 days since the NFLPA walked away from the labor talks. Also, one of the most significant parts of the deal is that it’s for 10 years with no opt-out clause. Finally, looks like NFL will get into full gear this week. Player reps are still in a conference call at this moment, but all reports are that a new collective bargaining agreement will be approved. The NFL Network has reported the Lions will start training camp on Thursday although that has not been confirmed by the Lions yet. We won’t know all the terms of the deal until it’s gotten the approval by the players, but it appears it’s a 10-year deal which is good news for the owners and the fans. The players wanted a seven-year opt-out but reportedly were not able to negotiate it. Three of the reported changes to come out of the new CBA which has not yet been adopted by the players. Once the players approve it, training camp for the Lions and other NFL teams could start next week. 1. Game day rosters will be extended by one to 46. The third quarterback will no longer be an emergency inactive player. He will be able to go in and out of the game as needed. You’ll remember that previously the first and second QBs could not re-enter the game if the third QB had played before the fourth quarter. 3. Teams will be allowed to practice in pads just one day a week during the regular season and during the last five weeks of the season can practice in pads just one day a week in only three of those weeks per the Pittsburgh Post-Gazette. This protects the players, but is not a huge deal because most teams don’t have many padded practices late in the season. Three major reasons the Lions will win more than six games this season. 1. They are a better team. They’ve added key pieces through the draft — DT Nick Fairley, WR Titus Young and RB Mikel Leshoure. 2. It’s time. Last season seven of their 10 losses were by six points or less. Plus they got ripped off on the Calvin Johnson no-call touchdown to open the season. A win at Chicago could have set a different tone for the season. 3. They would have won more than six games last season if Matthew Stafford had played in more than three games. That should not be an issue this season. Three reasons the lockout may have been advantageous for the players. 1. They got a break both physically and mentally. Most, if not all, are disciplined enough to keep themselves in shape. Maybe having several months away from the office will be good for their mental health. 2. Several were recovering from surgery (Matthew Stafford, Ndamukong Suh, Louis Delmas, Lawrence Jackson, Gosder Cherilus) so the break gave them time to rehab at their own pace and not rush back. Three things that must happen for the Lions’ offense to be effective. 1. 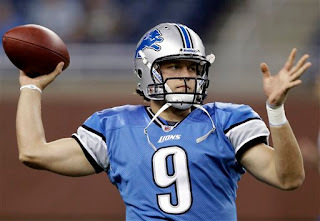 Quarterback Matthew Stafford must stay healthy. After shoulder surgery, he strengthened his upper back through rehab which should make him stronger and able to take big hits and still get up. 2. Wide receiver Titus Young and running back Mikel Leshoure — both rookies — need to learn the offense and learn it quickly once training camp starts. Both have worked one-on-one with Stafford during player workouts which gives them a jump on the situation. But since they haven’t had the luxury of OTAs or minicamps, they will naturally be a little behind the veterans. 3. The offensive line must be solid. Right guard Stephen Peterman, who was playing on a wonky foot most of last season, is healthy which should help. Right tackle Gosder Cherilus, who is coming off microfracture knee surgery, expects to be 100 percent for the start of training camp. 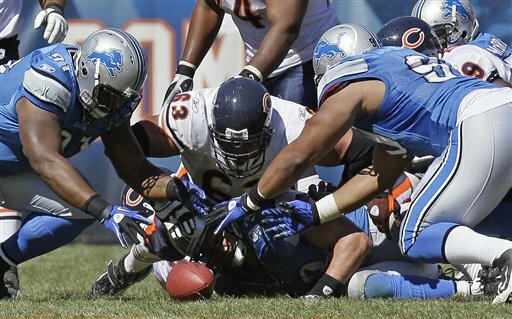 Three reasons the Lions could fare better after the lockout than other teams. 1. 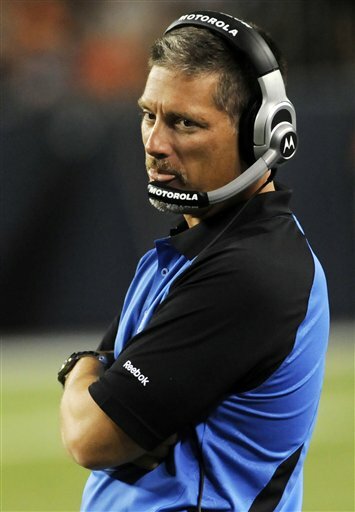 Coach Jim Schwartz, along with the offensive and defensive coordinators, remain the same as the past two years. The rookies will have to learn the systems, but all players who were around last season know the schemes and can help the newcomers. 2. Schwartz and his staff know the players, at least the ones from the 2010 season. Unlike new coaching staffs who come in and have to figure out everyone (like Schwartz did in his first season), he knows what he’s got. 3. Momentum is an odd phenomena, but the Lions have it after finishing last season winning four straight games. They snapped that brutal road losing streak last season and are ready to go forth. Three reasons the Lions are on the right track to building a winning team. 1. First the Big Three — coach Jim Schwartz, general manager Martin Mayhew and President Tom Lewand — are all on the same page. They share the same philosophy and will not waiver from it. 2. Good, young solid pieces are already in place — QB Matthew Stafford, WR Calvin Johnson, RB Jahvid Best, DT Ndamukong Suh, DT Nick Fairley and MLB DeAndre Levy to name a few. 3. Mayhew has proven to be a quiet but effective general manager. Last year he came through with two big free agent signings — Kyle Vanden Bosch and Nate Burleson. Then Mayhew made some trades to get other key guys like DT Corey Williams, DT Rob Sims, QB Shaun Hill and others. 1. He’s SO excited to be coming to Detroit. Even though he’s from Los Angeles his mom grew up in Detroit and he still has family here. The day of the draft he could hardly contain himself. 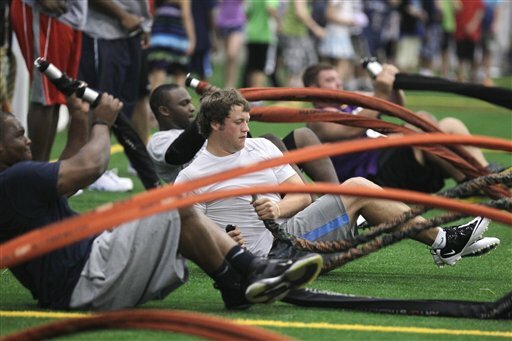 Months later at the player workouts the enthusiasm remained. He made his way from California to the players’ workouts to get a jump on learning the offense. 2. He’s a speedster who will add new dimension to the Lions’ passing game. 3. He can catch the ball. He has good hands for such a skinny guy and looked good catching passes from Matthew Stafford. Of course there was no defense on the field. 1. The improved defensive line will automatically make the secondary better. Louis Delmas joked that he’ll just be sitting back and watching the line do all the work. It was a joke, but it’s close to reality. Think Aaron Rodgers, Jay Cutler and the rest won’t be under extra pressure? Absolutely they will be. 2. Safety Erik Coleman could prove to be a quality free agent signing. The 29-year-old safety has been working out with Louis Delmas during the lockout and was on hand at the player workouts. He’s a veteran who should be able to adapt quickly to the Lions’ defensive scheme. 3. 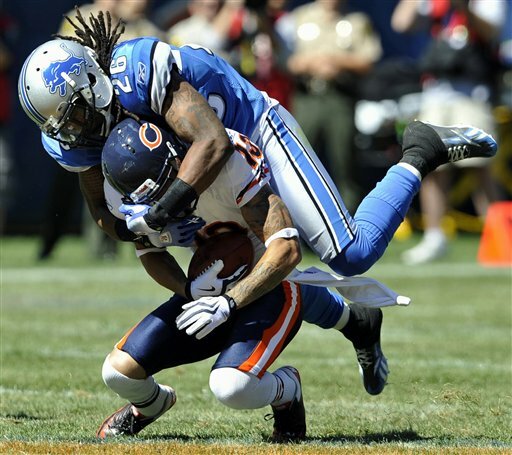 Louis Delmas expects to be 100 percent healthy following offseason groin surgery. He was never 100 percent all during last season. 1. Rotation in the middle with the addition of rookie Nick Fairley will keep the defensive tackles fresh from start to finish. Is there another NFL team that has such depth at tackle — Ndamukong Suh, Corey Williams, Fairley and Sammie Hill who quietly had a solid season last year. 2. Kyle Vanden Bosch. He’s a monster and he makes the team better even if he’s on the sidelines. But when he’s on the field, he’s big trouble for the opponent. 3. Cliff Avril had his breakout season last year, his third in the NFL and with the Lions. It’s no coincidence that he had Vanden Bosch there to set an example. 1. I don’t believe that’s he’s injury-prone or a china doll. His shoulder injuries have been flukes. Folowing his shoulder surgery in January, he had 10 weeks of intense rehab at the Andrews Institute in Pensacola, Fla. He said they worked a lot on strengthening his back which will in turn keep his shoulders more stable. His physique has changed, you’ll see it. 2. Last year he threw four touchdowns in a win over the Redskins when he was able to complete it start to finish. In the opener at Chicago when he couldn’t return after halftime and against the Jets when he was forced out in the fourth quarter, the Lions were ahead on the scoreboard when he left the field. He threw six touchdowns in not quite five halves of football. Do the math and you’ll see he could have been on track to throw 38 touchdowns if he had played 16 complete games. Against those six touchdowns he had just one interception. He also had a rushing touchdown. 3. Even though he hasn’t played all that much, he seems to have more confidence. When he wasn’t playing, he was watching and soaking everything in. This is his team. 1. It shouldn’t be a surprise, but count on veteran DE Kyle Vanden Bosch to enter camp as one of the most in-shape and conditioned players. He was a standout at the players’ workouts. It’s not like the other guys were winded, but Vanden Bosch clearly was into it and ready to go following offseason neck surgery. 2. Rookies Titus Young (WR) and Mikel Leshoure (RB) should fit in quickly. Even though they play skill positions and haven’t had the benefit of OTAs or minicamps, the two worked out with Matthew Stafford during the players’ workouts to get a headstart on camp. 3. Seeing Dre’ Bly back in a Lions’ jersey. Not saying this will happen, but Bly is looking to get back in the NFL after a season off. He’s in good shape and worked out with the Lions’ players at their voluntary workouts. It’s a longshot -- he was cut by the Lions at the end of camp last season. I guess that’s what would make it a surprise. 1. A healthy Louis Delmas. The free safety struggled from the start of training camp last year with a groin issue. He missed much of camp, but when it was game time he was there. At the players’ workouts he said he was close to 100 percent following surgery and expects to be back at full speed for camp. 2. Tons of competition at several positions. This could be the case especially on defense where the depth chart is much more wide open than on defense. 3. A few hard knocks now and then. It’s not a sign of lack of discipline when players get in fights and tussles. It’s more a sign of intensity which is a good thing. Last year’s camp ended with a big fight. There was some thought maybe it was a bad sign. But the veteran players were pleased because they knew it was a good sign that the players still had the intensity even though they knew it was the last day of camp. 1. Animosity between players, coaches and management following the NFL’s lockout of the players. Word from all sides is that they are all in this together to put together a winning team. Didn’t hear one nasty word from players during their workouts. In fact the way many of them see it, the coaches have been caught in the middle. 2. Work without a purpose. In their spare time — and they’ve had plenty of it — you know the coaching staff has revised, then re-revised their plans for a training camp that follows a locked-out offseason devoid of OTAs or minicamps. They’ll get the best out of the players without over-working them. 3. You won’t see everyone who will be on the roster at the end of the season. GM Martin Mayhew never quits, he’s looks to improve the roster all through the season. A few examples from last year: LB Bobby Carpenter, K Dave Rayner and CB Nathan Vasher. 1. A healthy Matthew Stafford whose has built up strength in his shoulders and upper back following offseason surgery. His build is noticeably different. But in the players’ offseason workouts he still had zip on the ball like always. You’ll also notice he appears to be even more of a leader. It’s a role that suits him. 2. A first look at rookie WR Titus Young and you will say “he’s so skinny.” He’s nearly 6-foot and 175 pounds. His spindly legs and thin physique suggest that maybe he needs to add Big Macs to his diet (just kidding). But, darned he is thin. However he’s got good hands and speed. 3. Unlike Young, rookie Mikel Leshoure is one solid running back. He’s a big back, not in the mold of Jahvid Best. They should provide a good one-two punch at the position. It’s nearly impossible to tell from the limited offseason workouts how he’ll handle running the ball in the NFL, but he certainly has the right stuff. 1 — Drafting DT Nick Fairley with the 13th overall pick. The defensive line was already strong, Fairley takes it another step. With Fairley, Ndamukong Suh, Corey Williams and Sammie Hill rotating in and out at defensive tackle, the opponent will get no mercy. No D lineman should play every snap anyway. With this rotation, the defensive line should be just as strong late in the fourth quarter as it is to start the game. Aaron Rodgers and Jay Cutler can’t be too happy about this addition which is, of course, just the point. 2 — The free agent signing of safety Erik Coleman prior to the NFL lockout. This signing seemed to go by without much fanfare, but Coleman could plug in as a starter opposite Louis Delmas. In fact, the two have spent time during the offseason in Miami with Delmas teaching Coleman the Lions’ system as much as he can. 3 — Tie between the drafting of WR Titus Young and RB Mikel Leshoure, both in the second round. These were not considered positions of big need, but the offense will have much more depth and flexibility with those two on the roster. Young, who is so skinny, has good hands and speed. Leshoure is a big back and will literally beef up the Lions’ running game which at times last season was a weak link. First-round picks: Does it take one to know one? Lions’ defensive end Lawrence Jackson knows what it means to be a first-round pick. It’s a label that sticks for the life of an NFL career. Jackson was selected in the first round (28th overall) by Seattle when he was coming out of USC in 2008. 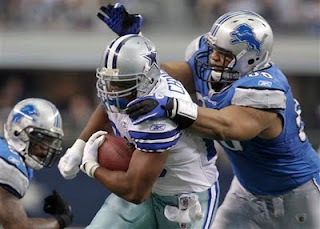 He was acquired by the Lions in mid -August 2010 and seems to have found a place that better suits his game. He was slow at the start last season because he was coming off a groin injury. But once he got going, opposing quarterbacks couldn’t ignore No. 94. In nine games he had a half-dozen sacks, 34 tackles and a forced fumble. He flew in from Los Angeles this week to help his teammate Ndamukong Suh with his two-day football camp. Jackson is quite active on Twitter where you can find him @LoJackson94. He was tweeting Thursday from his first Tigers game.